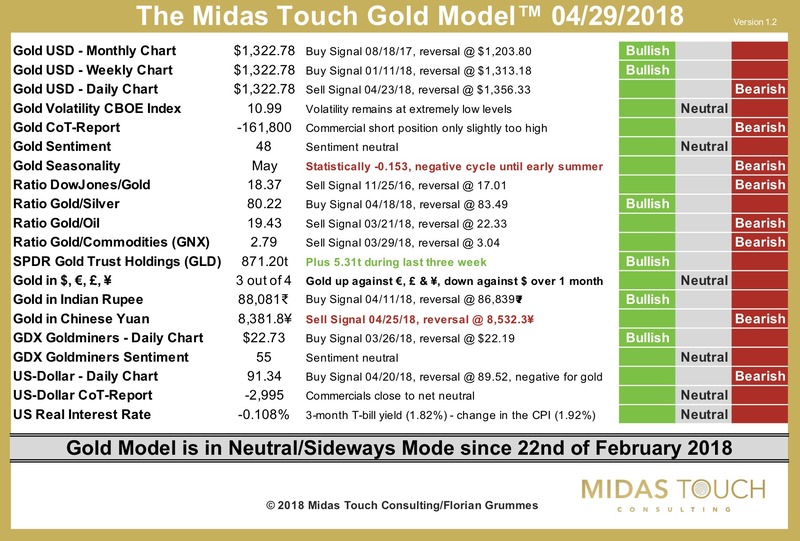 The Midas Touch Gold Model™ remains in neutral mode since 22nd of February 2018! Gold came under pressure over the last couple of days but was still able to finish with a weekly close above 1,320 USD. Over all there is no reason to assume that the multi-months sideways consolidation has ended. Instead our Midas Touch Gold Model™ remains in neutral mode. In comparison to last week the model witnessed just a few small changes. 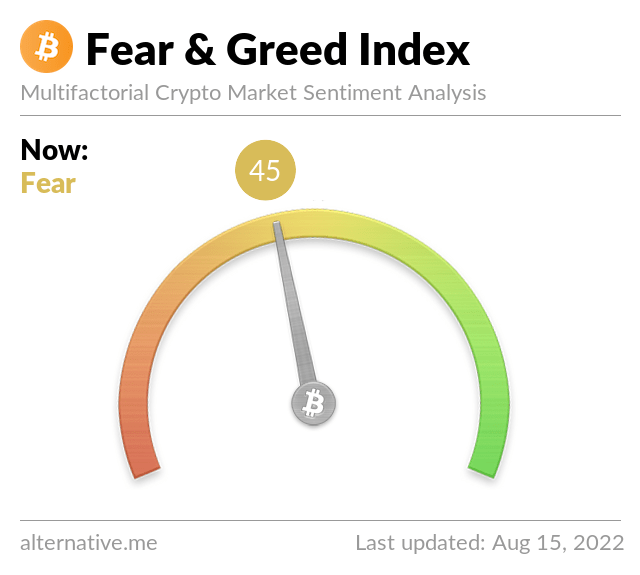 Thus, we have two new bearish signals. The first one comes from gold´s seasonal cycle, while the second is a technical sell signal on the daily chart for gold in Chinese Yuan. On the other hand, with 5.31t added to the SPDR Gold ETF (GLD) inventory, the rising demand in gold ETFs flashes a buy signal. Finally, our indicator for gold in the four major currencies has shifted to a neutral signal, as gold in US-Dollar is down 1.39% over the last four weeks! 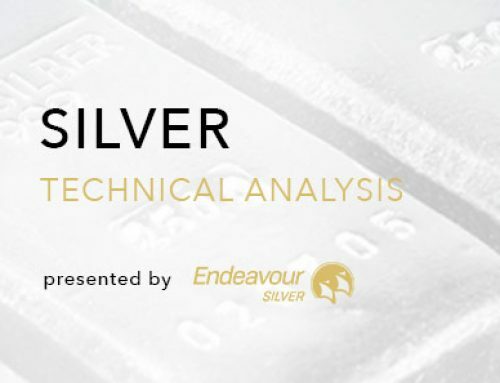 Overall, the Midas Touch Gold Model™ remains neutral and confirms my recommendation to observe this market from the sidelines. Should we get the expected final pullback towards and maybe below 1,300 USD, over the next four to ten weeks I will send out an aggressive buying recommendation. Until then remain patient!